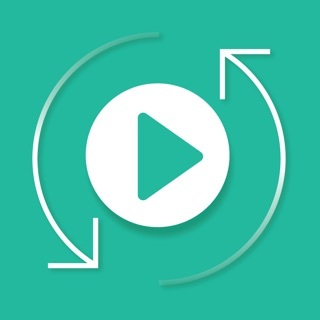 Convert your audio or video files to nearly any major audio format! MP3, M4A, AAC, FLAC, OGA, OGG, WAV, WMA, AC3, or AIFF ! 4. 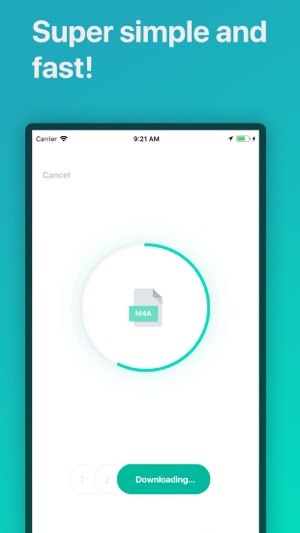 Share your file or listen to it on your device! mp4, mov, mp3, m4v, avi, flac, flv, aac, ac3, amr, au, caf, m4b, oga, voc, wma, weba, 3g2, 3gp, dvr, m4v, mkv, mpg, mpeg, rm, rmvb, ts, vob, webm, wmv and more! Made improvements to the UI to make it more clear for users. But the app has worked flawlessly since I downloaded it. It does exactly what it says it does. 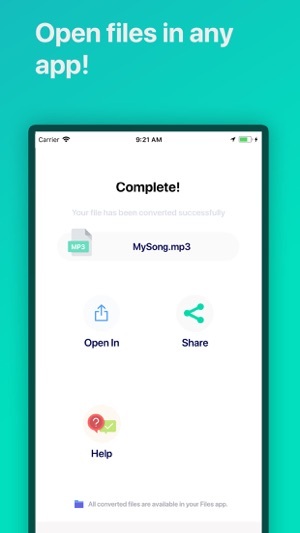 I use it for converting my original music to MP3 to share with friends. Despite the cons, it works great, and is worth the download. I like this app. I use it quite a bit. It’s still ugly, but I think my only complaint now is that it asks me to rate it after a few conversions, consistently, despite the fact I’ve already rated it. But it’s still a really, really good utility for converting audio files. I’ve found the fastest way to convert a file is by starting with an already compressed file (no brainer! 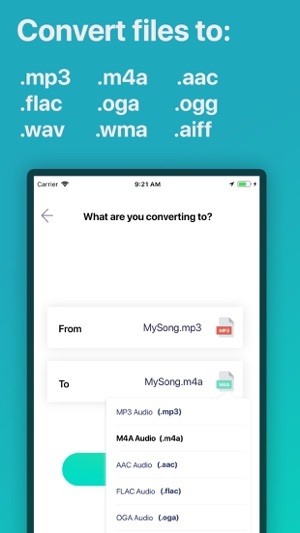 ); I use the Audio Copy app to convert my wav files to m4a, then upload the m4a app into this to convert to mp3 for sharing with my android-using band mates. Sometimes, not very often, the app randomly decides it can't connect to the server and that is really inconvenient. But it works most of the time. Not being able to to stay signed in for more than a few minutes of inactivity is a pain as well. But the last update did make several improvements. 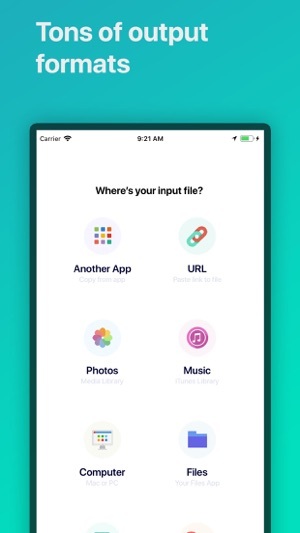 My preferred conversion format is now offered as the default so that saves a step. Also, it is now possible to leave the app to go do something else, and the app notifies me when conversion is compiete.